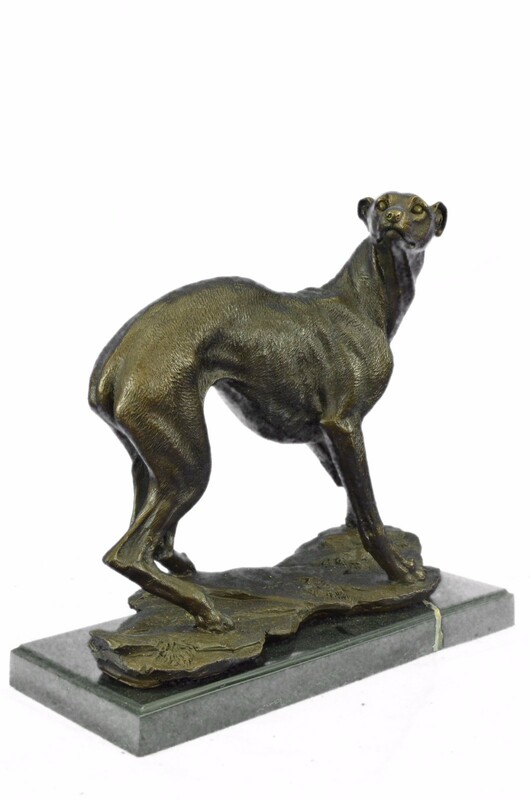 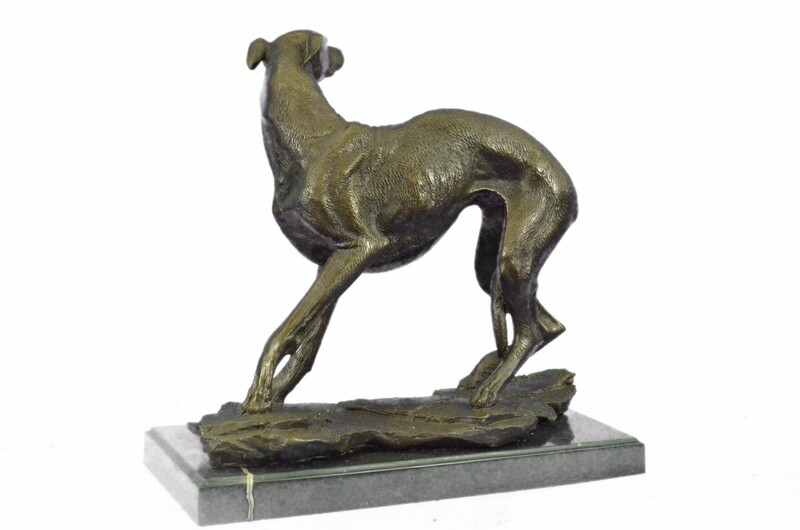 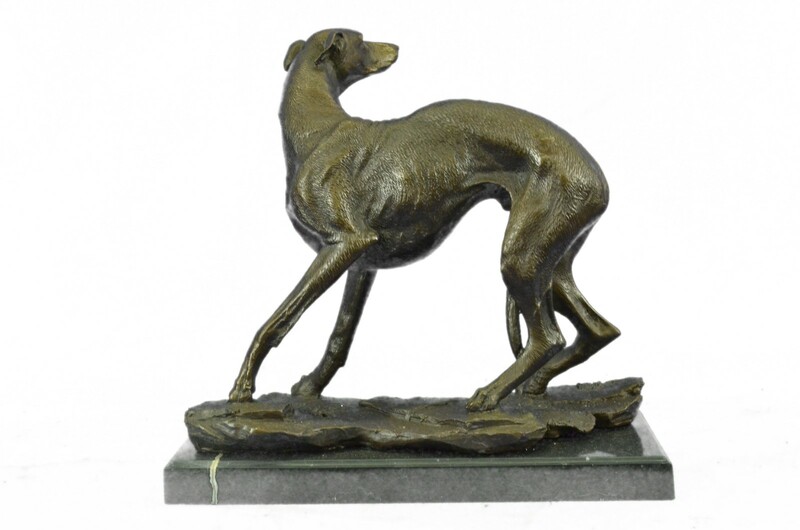 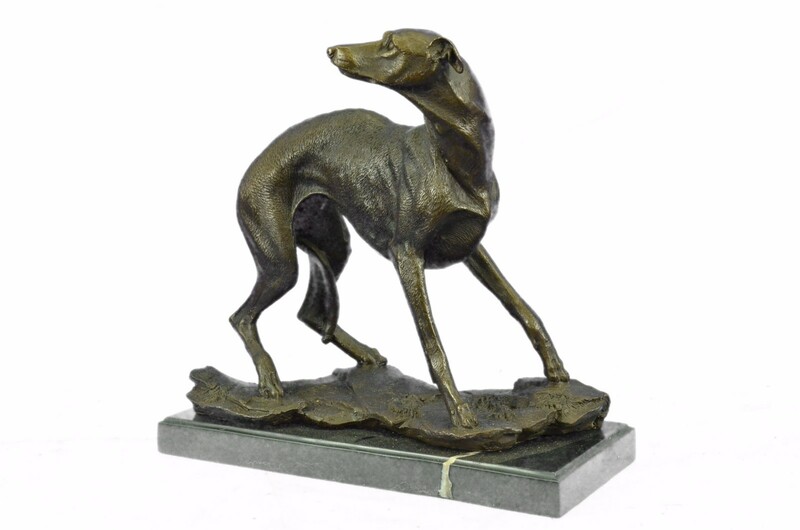 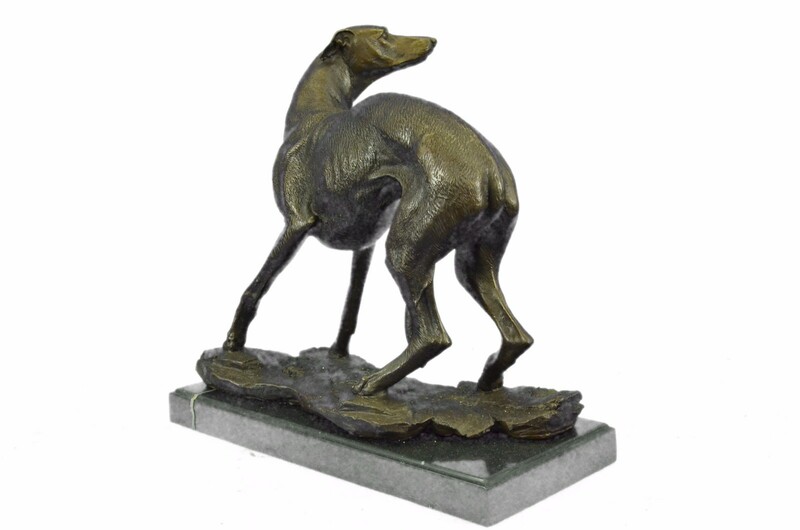 This Is A Bronze Sculpture Of An Italian Greyhound Which Is The Smallest Of The Sight-Hounds. 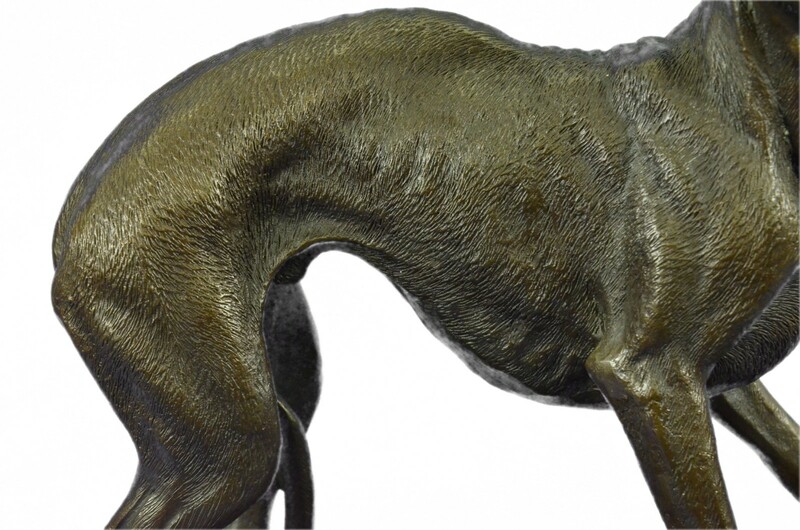 The Docile Nature Of The Dog Is Seen Through It'S Body Language As The Dog Cowers, Pulling Its Tail Between Its Legs, Looking Up With A Concerned And Pleading Look To Its Eyes. 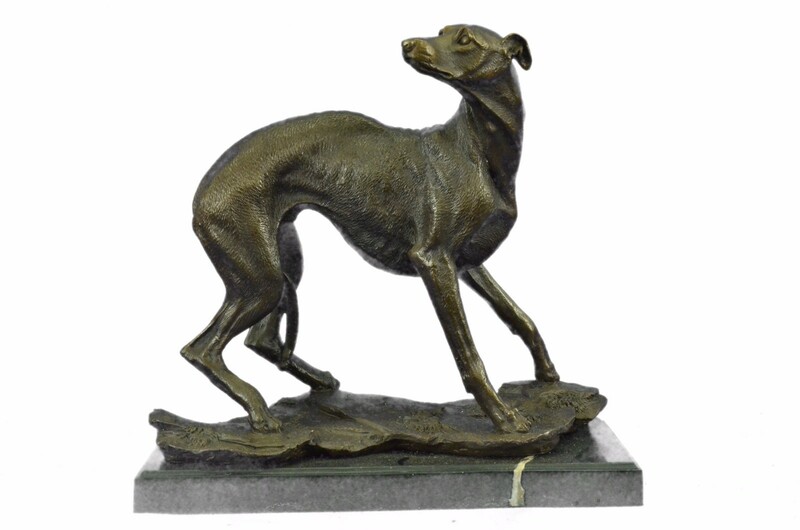 The Artist Captured The True Essence And Likeness Of The Breed With It'S Elegance And Grace. 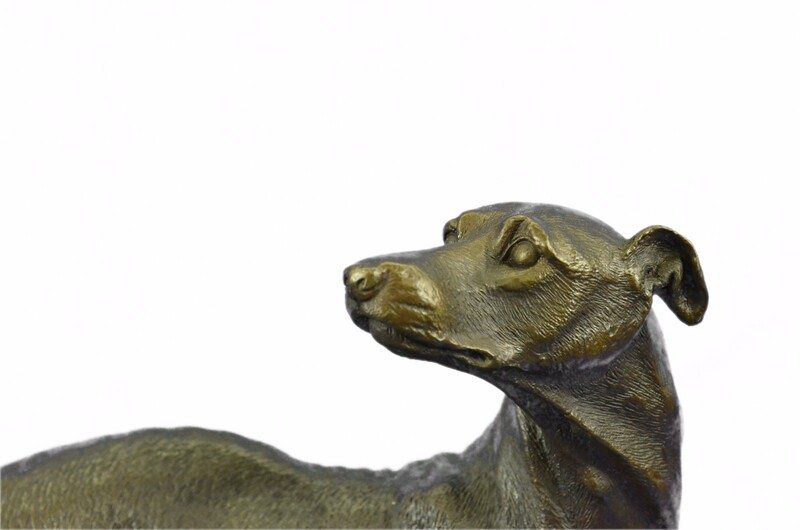 The Handmade Bronze Sculpture Was Captured Using The Ancient Method Of Lost-Wax Casting And Stained With A Brown Patina Finish For Preservation. 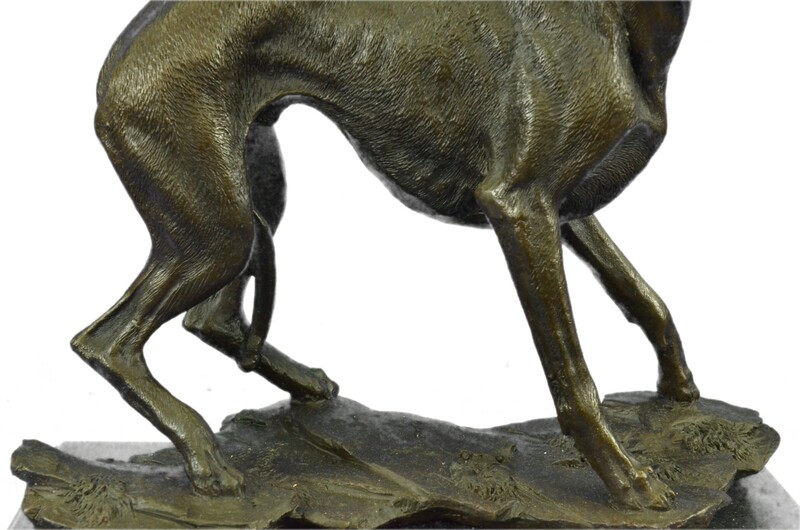 It Is Mounted Upon A Black Marble Base With The European Bronze Finery Stamp Of Quality And The Artist E. Villanis'S Signature.